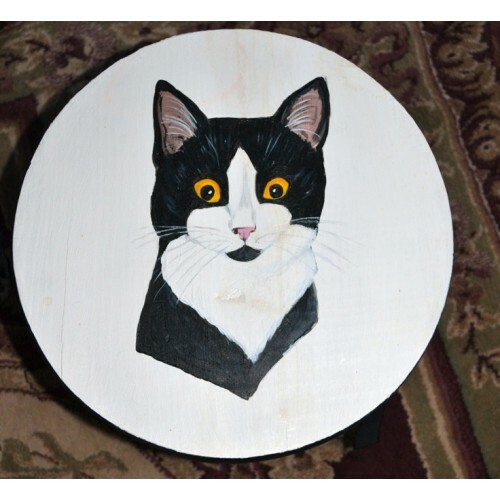 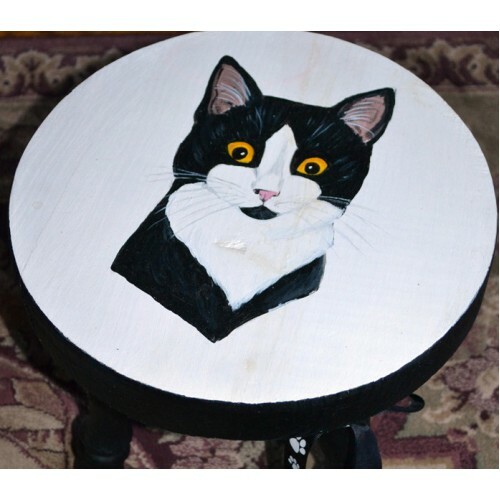 This hand painted wooden foot stool is a purrfect decoration in a cat lover's house. 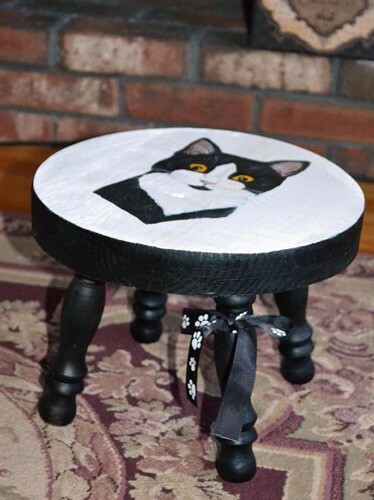 Use for decoration or to get to those hard to reach items in your kitchen cabinets. 10 3/4" w x 8 3/4" h.